A Daily Dose of Fit: EPIC FAIL: I cannot make almond butter. You need a VitaMix blender. They're really expensive but they do EVERYTHING. You would love it...my mom has one. You can throw in whole carrots, apples, nuts, garlic etc. They make everything from hot soup to juice, ice cream and......NUT BUTTER! These are the blenders you see in starbucks and smoothie places. @Bethany: I am 100% familiar with the VitaMix. I intend to own one someday. 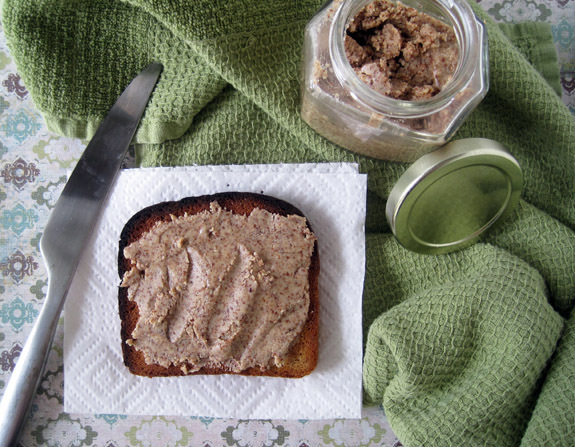 Has your mom made any nut butters in it? @beckarie: She must put a TON of oil in hers...that's the only explanation I can come up with.